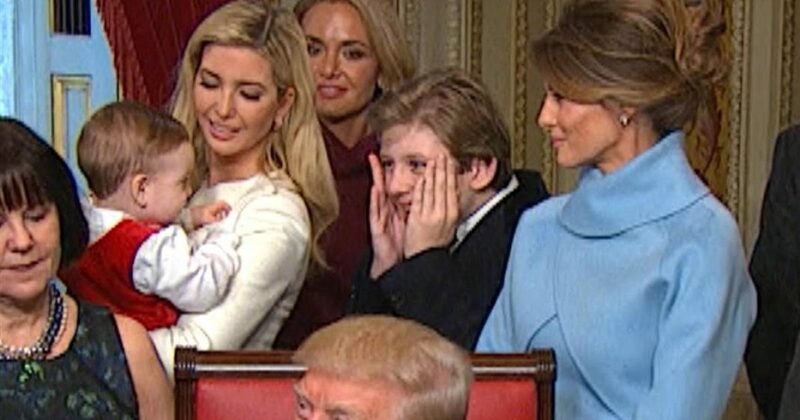 Think the media will not bully Barron Trump? Fat chance! Earlier this year, Barron Trump was the victim of several cyber-bully attacks. One of which came from Rosie O’Nobody when she tweeted that Barron appears to be autistic. For the next several weeks, Barron was subjected to several disparaging statements from celebrities and twitter users. Chelsea Clinton immediately came to Barron’s defense. In fact, the ever-classy Melania Trump responded with a tweet of her own. Later, Ivanka Trump made it clear. Her eleven-year-old brother should be off limits, especially when it comes to public scrutiny. Now, Ivanka and Chelsea are once again on the same side of issues regarding another first child. Both women criticized the main stream media for coverage of Malia Obama. She was recently depicted blowing smoke rings. Cigarettes or marijuana, but does it really matter. She’s her father’s daughter, and as they say, “Kids will be kids.”. This week, a number of media outlets and tabloids have snapped photos of the college student kissing a young man. Other pictures appeared to show the 19-year-old smoking have also circulated on the internet. After Trump’s tweet, Clinton echoed a similar sentiment. “Malia Obama’s private life, as a young woman, a college student, a private citizen, should not be your clickbait. Be better,” Clinton tweeted. Perhaps First Kids share a sorority of sorts? The informal society is historically protective of its members, particularly the kids. Ivanka has certainly fielded her share of criticism. And her older brother, Donald Jr. released his emails when the media turned up the spotlight on him regarding Russia. In fairness, the Obama daughters have garnered some negative attention unrelated to college antics. After Thanksgiving in 2014, Elizabeth Lauten, a former communications director for State Rep. Stephen Lee Fincher (Tenn.), bashed Malia Obama and younger sister Sasha Obama, who were 16 and 13 at the time, for their outfits and facial expressions at the annual turkey pardoning. And that’s one of the milder examples. Malia faced criticism from the get-go. At just 11 years old, she was called “a typical street whore” and “ghetto street trash” after wearing a shirt with a peace sign on it. When it comes to the former First Family, should America let it go? After all, these kids do grow up and become American royalty of sorts. How can we possibly expect the media to not cover them? And in the case of Chelsea Clinton, at times during the campaign she poked the tiger. In fact she campaigned for her crooked mother, and ran the family extortion racket. Not exactly trying to fly under the radar. At least for now, Malia can kiss the boys and blow her smoke rings. But as the veil of invincibility is removed from the Democrats, I think we can expect lots of media stories regarding the Obamas’ daughters.